IoT Hub device streams allow service and device applications to communicate in a secure and firewall-friendly manner. During public preview, the C SDK only supports device streams on the device side. As a result, this quickstart only covers instructions to run the device-side application. You should run an accompanying service-side application, which is available in the C# quickstart or Node.js quickstart. Establish a device stream to an IoT device. Receive data sent from the service-side and echo it back. 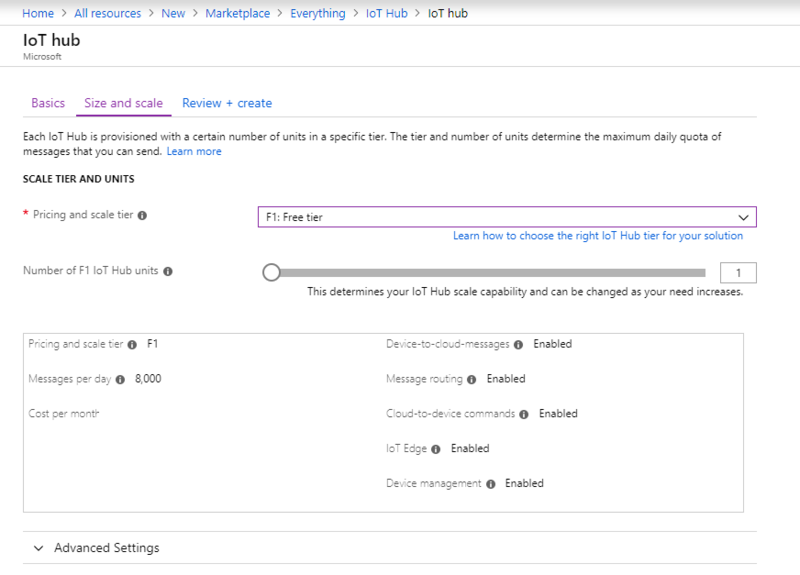 For this quickstart, you will be using the Azure IoT device SDK for C. You will prepare a development environment used to clone and build the Azure IoT C SDK from GitHub. The SDK on GitHub includes the sample code used in this quickstart. You should expect this operation to take a few minutes. Run the following commands from the cmake directory to build a version of the SDK specific to your development client platform. In Windows, run the following commands in Developer Command Prompt for Visual Studio 2015 or 2017. A Visual Studio solution for the simulated device will be generated in the cmake directory. Provide your device credentials by editing the source file iothub_client/samples/iothub_client_c2d_streaming_sample/iothub_client_c2d_streaming_sample.c and providing your device connection string. 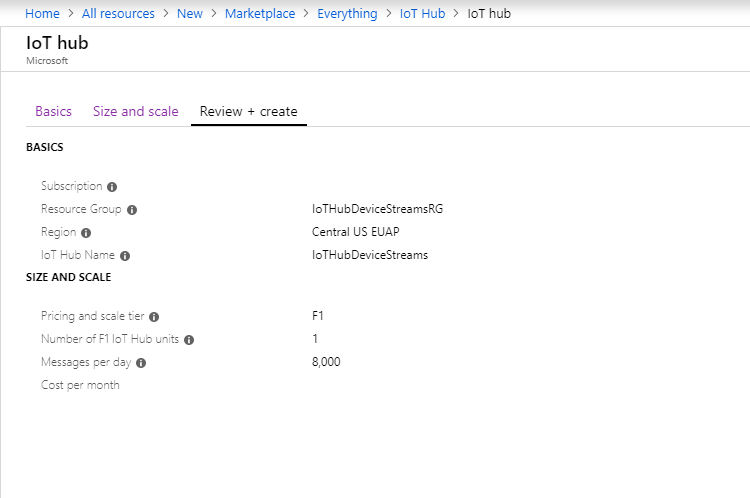 As mentioned previously, IoT Hub C SDK only supports device streams on the device side. To build and run the service-side application, follow the steps available in the C# quickstart or the Node.js quickstart. 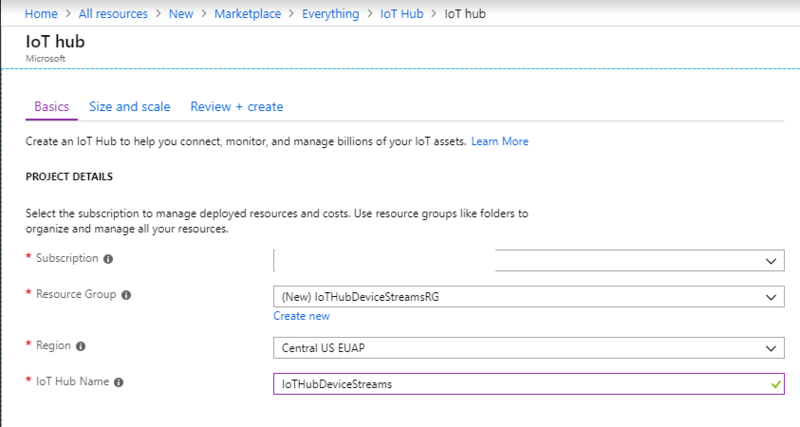 In this quickstart, you have set up an IoT hub, registered a device, established a device stream between a C application on the device and another application on the service side, and used the stream to send data back and forth between the applications.